How one Dal student lives her zero-waste life. Brianna Maxwell’s garbage fits in a jar. So far it’s a couple tags, some Band-Aids and a plastic straw. Maxwell has been living a sustainable lifestyle for several years, but in January she decided to take it one step further and challenge herself by starting a zero-waste project. She finds creative ways to re-use, replace and repurpose all kinds of items. Maxwell recently shared her insights at a “Sustainable Life Hacks” workshop, as part of the day long Skilled Up! Event organized by YESS (Your Environment Sustainability Society) on March 4. Maxwell says small changes can be made fairly easily to all aspects of every day life: from food to personal hygiene. “The thing that really inspired me when I was starting to learn about sustainability issues was actually shampoo,” she says. She remembers purchasing a bottle with the label “95 per cent biodegradable,” and thinking that was pretty good. But eventually she started wondering about that label. So far, Maxwell’s waste includes mostly plastic tags and Band-Aids. Maxwell ditched that brand of shampoo, and started doing some research to find an option that would be entirely biodegradable. She found some homemade recipes, and through trial and error, discovered something that worked really well. It snowballed from there: over the next few years, Maxwell managed to make sustainable changes to many aspects of her life. 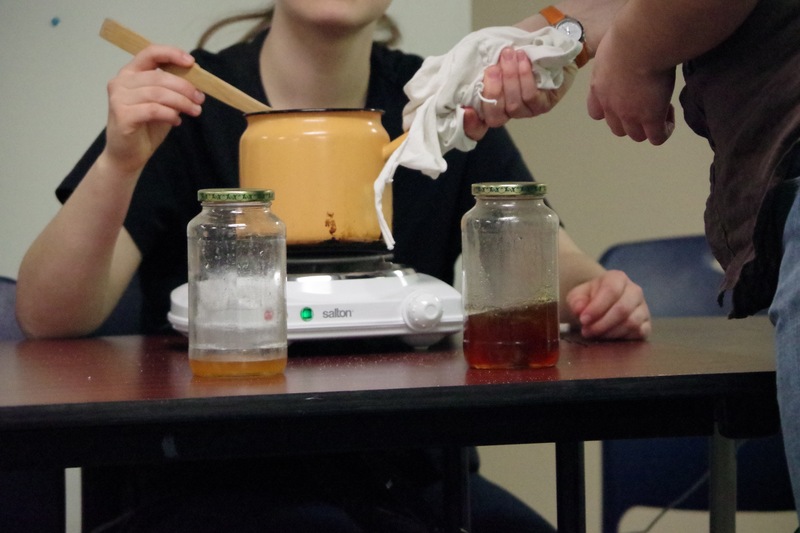 At Saturday’s workshop, Maxwell demonstrated how to make wax out of sugar, lemon and water. 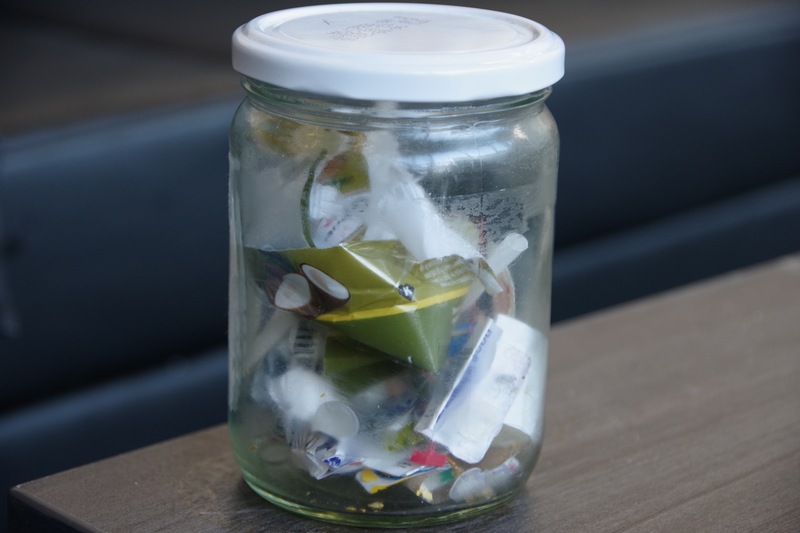 Living a zero-waste lifestyle takes some planning and is not without challenges. For example, Maxwell keeps forgetting about plastic straws that often come with drinks. “It’s so easy to let yourself just go with what everyone else is doing,” she says. Maxwell says it’s best to start with small steps: cycling or walking to work once in a while, or buying things with less plastic packaging are a good start. “The great thing about starting somewhere is that it usually leads to somewhere else,” she says. Something as simple as reusable coffee mugs can go a long way. “That’s something that you can really see, in a week, you’re saving seven cups from going into the landfill. 365 in a year. It’s something students can do fairly easily,” says Maxwell. She encourages people to find something they’re passionate about, or an issue they want to address, and start from there.